Ms. Sidorenko stated that the membership of Project Kesher has grown from about 55 women to about 85 women during the past year. Notwithstanding this growth, members still meet in three different groups according to interest. The largest of the groups focuses on "economics and law," said Ms. Sidorenko. As this is the group that she leads, she spoke at some length about it. About 50 women have registered for the economics and law section, she stated, but only about 25 are active on a monthly basis. The group teaches and encourages financial planning, an understanding of the rights of women and mothers of dependent children in the workplace, and the rights of women who are unable to find employment. They work with Keshernet, the local Jewish Women's Microenterprise Loan Fund, and certain other groups in helping women upgrade their skills and find appropriate employment. They try to help women adopt new ways of thinking and perceive themselves as independent actors; women need to see themselves as active planners and managers of their own finances, rather than be solely dependent on their husbands and on the vagaries of the workplace. Clearly, the ongoing financial crisis and the accompanying increase in unemployment underline the urgency of this change in thinking. A related program of the economics and law group, continued Ms. Sidorenko, is training in conflict resolution. They bring in consultants, hold roundtable discussions and webinars, and study relevant Jewish sources for background. They meet in the Israel Culture Center. A second Project Kesher group, which emphasizes study of Jewish tradition, has about 25 members, said Ms. Sidorenko. This group meets in the Solomonika center. Members of the third group, about 15 women in all, are mothers and grandmothers of special needs children enrolled in the Special Needs Educational Resource Center at Beit Chana. Although their designated focus is on economic literacy, they also are concerned with health and nutrition for themselves and their children, access to various services for special needs youngsters and young adults, and Jewish tradition. The demands of caring for special needs children frequently leave these women, most of whom are single parents, physically and emotionally exhausted, impoverished, and isolated. Project Kesher attempts to provide practical education and contacts, gateways to Jewish tradition, and companionship. Ella Sidorenko, at right, has been a leader of Project Kesher in Dnipropetrovsk since its inception in that city. Whereas one Project Kesher group focuses on Jewish tradition, Ms. Sidorenko stated, all three groups attempt to learn more about their common Jewish heritage. They observe all Jewish holidays and one of their special events is a large seder just for women. Project Kesher women also are encouraged to reach out to women of other ethnic groups because women of all ethnicities face similar issues. They promote tolerance and invite women from other traditions to share Jewish holidays, such as Shabbat dinners. They also try to support less fortunate women and families in the city, including internally displaced people from eastern Ukraine, by distributing food parcels and other materials. Project Kesher emphasizes women's health in all of its groups. Women are encouraged to obtain mammograms and to practice good dental hygiene. Project Kesher even has organized flash mobs in the city to emphasize these practices. In closing, the writer asked Ms. Sidorenko if, in view of the current tension between Ukraine and Russia, she would attend a Project Kesher conference in Moscow. Yes, she responded, why not? (Почему нет? ), a reaction that was uncommon among some of her counterparts in other organizations. 18. Limmud, the popular informal Jewish education program, attracts about 50 people from Dnipropetrovsk to its Ukrainian conferences, said Vladislav Zelikman and Renata Sokolska, two of its most prominent local participants. 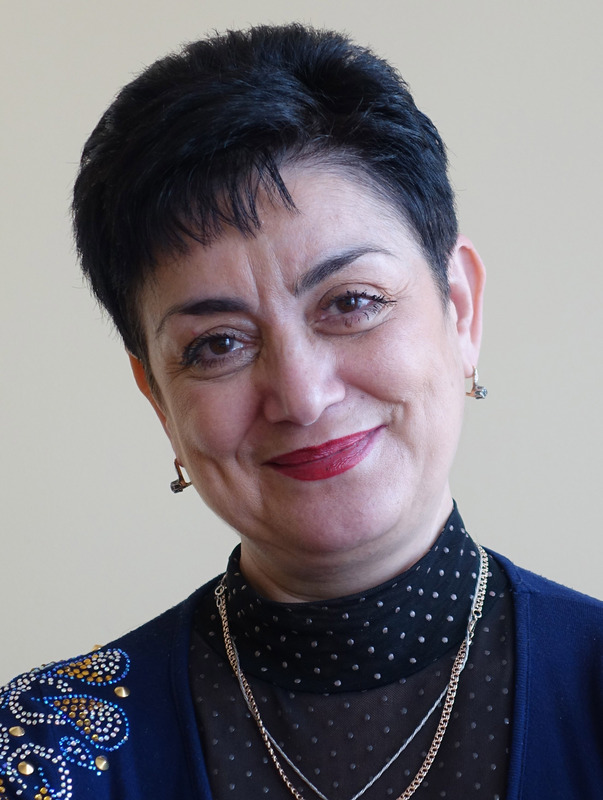 Ms. Sokolska is responsible for developing the Ukrainian Limmud program book and both individuals are members of the Ukrainian Limmud organizing committee. One of the greatest appeals of Limmud to Ms. Sokolska and Dr. Zelikman is its operation by volunteers, ordinary people from different walks of life who take responsibility for all aspects of the program, including scheduling, inviting presenters, being presenters, organizing Shabbat observances and children's activities, arranging accommodations and meals, fundraising, and various other tasks. The program is sufficiently diverse that everyone can find many lectures and other presentations of interest. Dr. Vladislav Zelikman, left, is an associate professor and chairman of the accounting and audit department at the National Metallurgical Academy of Ukraine (in Dnipropetrovsk). 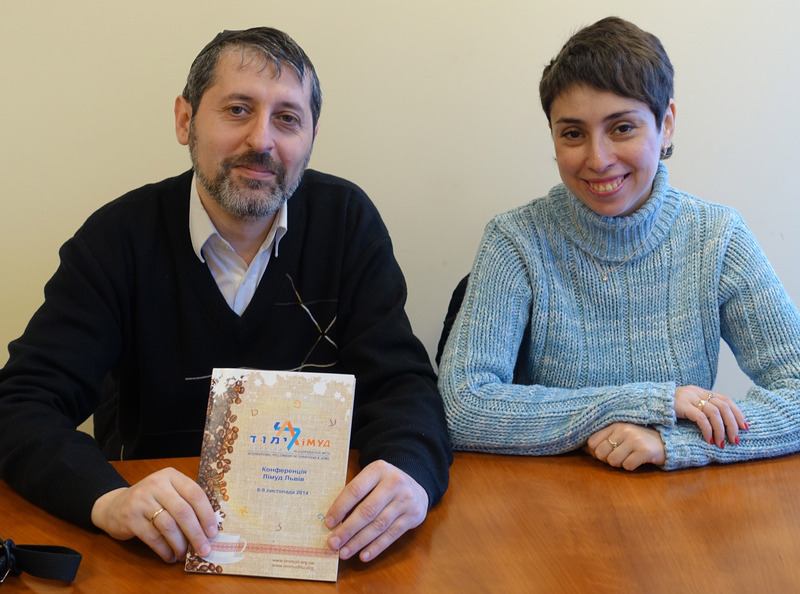 He is holding the Ukrainian-language program book, developed by Ms. Sokolska, for the 2014 Limmud conference in Lviv. Renata Sokolska, right, is an economist at the National Metallurgical Academy. In response to a question about participants from Dnipropetrovsk, Dr. Zelikman and Ms. Sokolska said that the majority are Jewish community professionals, Hillel activists, and people who work in information technology or as translators. About ten individuals from Dnipropetrovsk have made presentations and another ten have done significant volunteer work as organizers. Replying to a question about the participation of local academics, Dr. Zelikman and Ms. Sokolska said that few people from local universities other than themselves attend Limmud conferences. The informal, non-academic approach of Limmud is difficult, possibly even threatening, for professors steeped in the Soviet/Russian/Ukrainian strictly formal approach to higher education, which consists almost entirely of frontal lectures without student response. Such academics are afraid of being questioned by participants, said Dr. Zelikman and Ms. Sokolska, and simply walk out of the room when a listener makes inquiries about a point in the presentation. 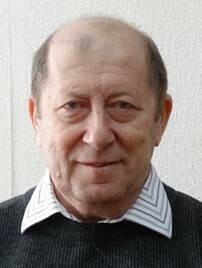 The only notable exception to this situation is Dr. Igor Schupak, the director of the Tkumah Holocaust and history research center; Dr. Schupak, they noted is a very popular speaker at Limmud; he responds to questions and encourages discussion. Odesa and Lviv, said Dr. Zelikman and Ms. Sokolska, each have hosted several Ukrainian Limmud conferences. These cities are popular because each has a rich Jewish history that can be explored and each is accessible by existing transportation links with other cities, including cities outside Ukraine. Each also has hotel and conference center facilities that can accommodate Limmud conferences. However, they noted, the deteriorating economic situation in Ukraine is beginning to affect attendance; in addition to being accessible, the Limmud conference site must be affordable and transportation costs must be reasonable. In response to a question about outside funders, Dr. Zelikman and Ms. Sokolska said that the most visible is Rabbi Yechiel Eckstein of the International Fellowship of Christians and Jews. Asked if they would attend a Limmud conference in Russia, Dr. Zelikman replied that it would be "difficult" to do so, both economically and, more importantly, psychologically. Dr. Zelikman stated that although most Russian Jewish "Limmudniks" are "absolutely normal" people, travel to Russia in this period of Russian-Ukrainian tension would be psychologically burdensome. 19. Hesed Menachem, a welfare center operated by the American Jewish Joint Distribution Committee, continues to serve a mainly elderly clientele in Dnipropetrovsk and the surrounding area. The writer spoke with Anatoloy Pleskachevsky, the veteran director of the hesed, in his office. The hesed is located in the Menorah Center. The hesed currently serves about 7,000 clients in 52 locations throughout Dnipropetrovsk oblast, 40 percent of whom are Holocaust survivors and thus receive enhanced benefits from the Conference on Jewish Material Claims against Germany. The number of survivors continues to decline due to a high death rate in that age group, Mr. Pleskachevsky said. It is a struggle to fulfill the needs of non-survivors in the face of the extraordinary inflation that is gripping Ukraine. Pensions, which now (in April 2015) amount to about $45 monthly, are almost meaningless. Elderly individuals are preoccupied by the cost of food and utilities, continued Mr. Pleskachevsky, and no longer think very much about buying medicine. Medicines are so expensive, even with the discount cards that the hesed distributes, that many clients can no longer afford them. Medical services are available through the Jewish Medical Center, an institution with which the hesed has a contract. Hesed services include distribution of debit cards to approximately 4,000 clients for purchases of food and medicines, home health care for approximately 800 homebound elderly, and day center programs in Dnipropetrovsk, Dniprodzerzhinsk, Pavlograd, and Novomoskovsk. The Dnipropetrovsk day center program, which is the largest of the four, transports groups of 30 seniors twice each month to the hesed for a daylong program that includes two hot meals, various social activities, hairdressing services, and medical consultations. Hesed Menachem also hosts several clubs and hobby groups for more mobile elderly. Special activities are held for World War II veterans. Winter relief (heating assistance, blankets, warm clothing) is distributed to those in need. Hesed director Anatoly Pleskachevsky is a 34-year veteran of the Soviet armed forces, having retired as a colonel in the artillery corps in Afghanistan. Photo: the writer (in 2013). In response to a question about aid to internally displaced persons from the Donetsk and Luhansk areas, Mr. Pleskachevsky said that the hesed provided services to some 2,000 Jewish IDP's from these areas during the peak of the crisis. This assistance included housing subsidies, food and clothing allowances, winter relief, and counseling. >He was aware, continued Mr. Pleskachevsky, that funding for these unanticipated expenses was provided by North American Jewish federations; he is very grateful for this assistance and was especially pleased that Barry Shrage, President of Combined Jewish Philanthropies of Greater Boston (the Jewish federation in Boston), made a special trip to Dnipropetrovsk, a sister-city of Boston, to assess the situation. The worst part of the crisis appears to be over, Mr. Pleskachevsy stated; most of the displaced people have moved on. Some have found work in Dnipropetrovsk or other places and some have emigrated, especially to Israel. Only about 90 IDP's still receive aid from the hesed. Keshernet is a collaborative project with World ORT that teaches women basic Microsoft Office skills, such as Word and Excel, and also offers training in bookkeeping, graphic design, and other computer skills. ORT/Keshernet certificates are awarded to those who complete specific courses. See pages 14-15 for information about the Israel Culture Center. See pages 8. As noted previously, Dr. Schupak completed graduate studies in Canada. In addition to teaching at Limmud, he also is a volunteer in its management. Actual medical care is available through a contractual agreement with the Jewish Medical Center. See pages 10-11. See pages 15 for additional information about the Boston-Dnipropetrovsk relationship.